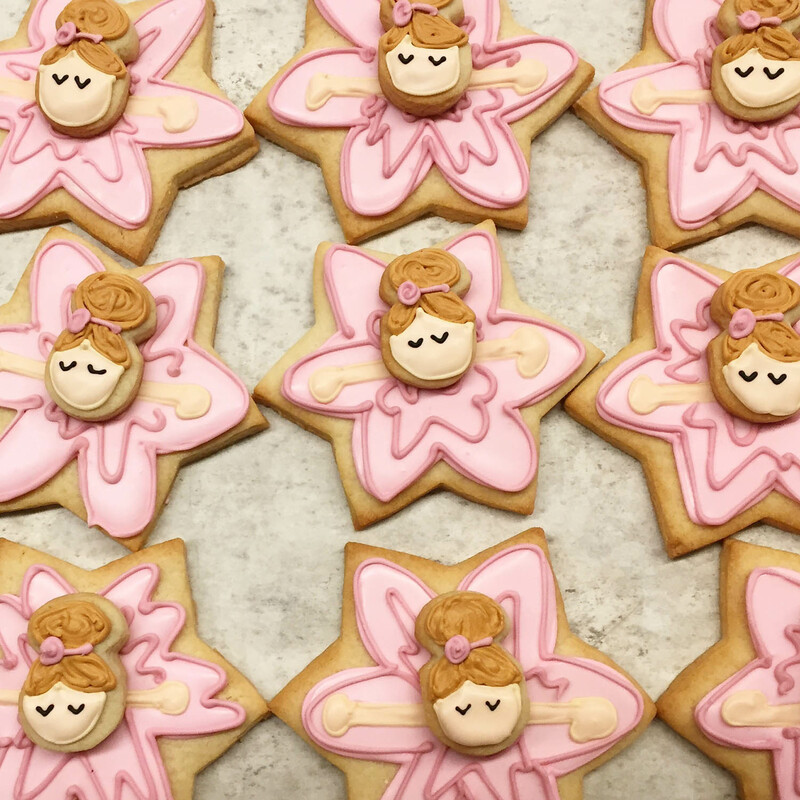 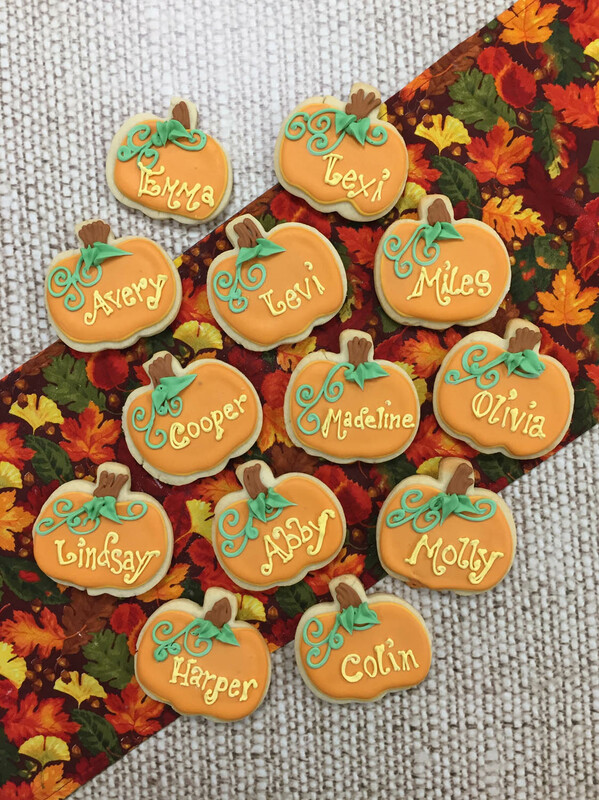 Royal iced cookies are a great way to complement your dessert table and are a beautiful favor to send home to thank your guests for attending. 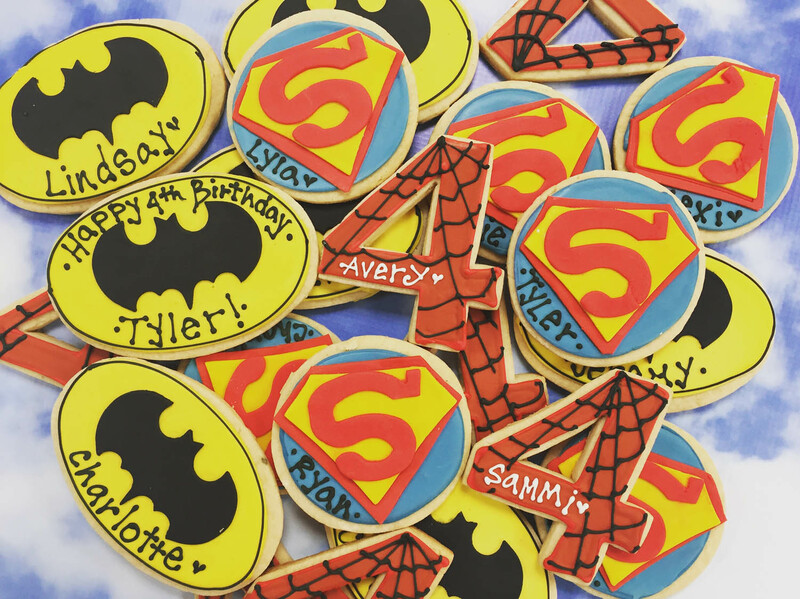 You can provide everyone with the same design or do a variety of designs or colors. 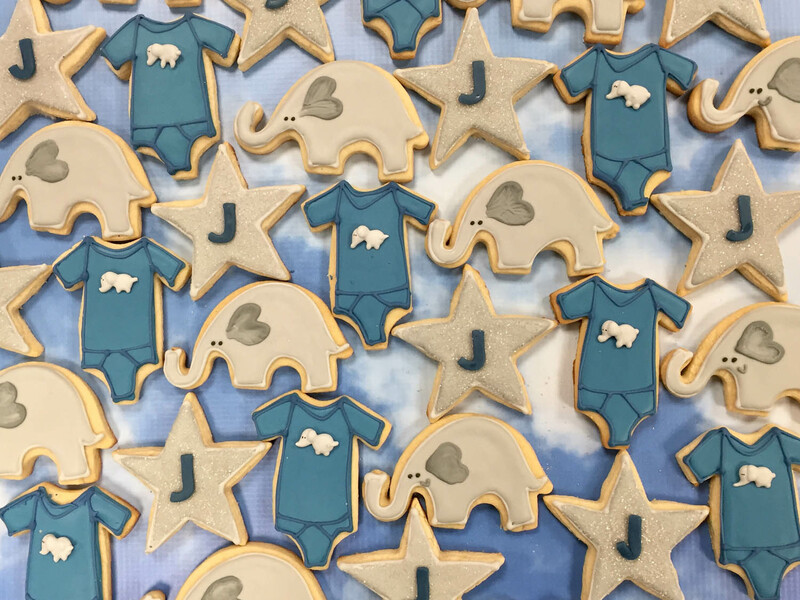 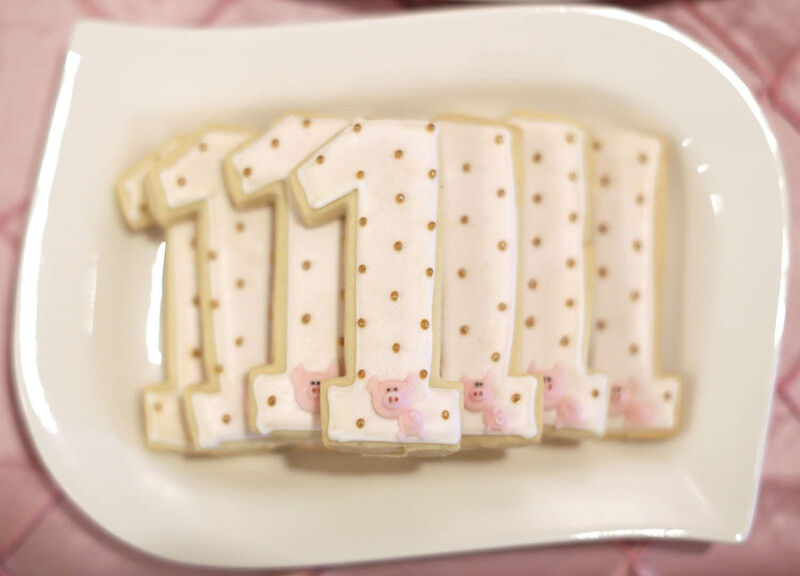 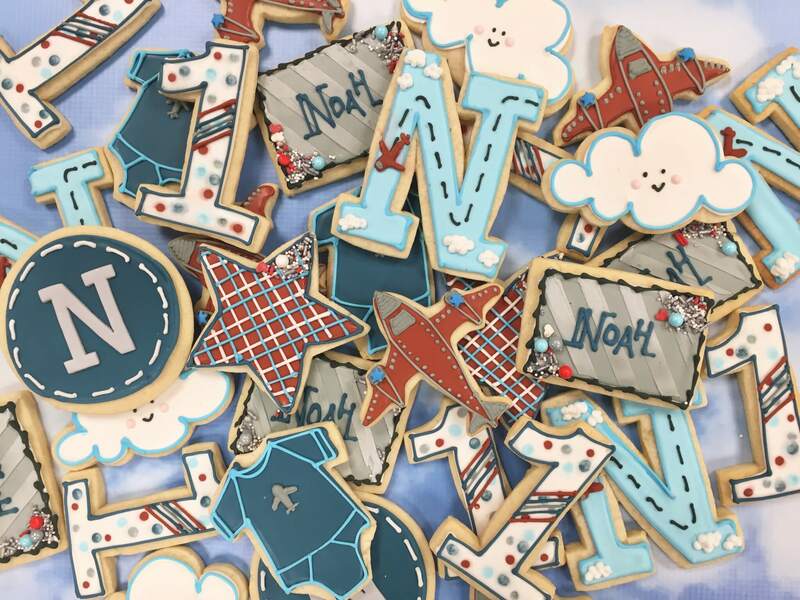 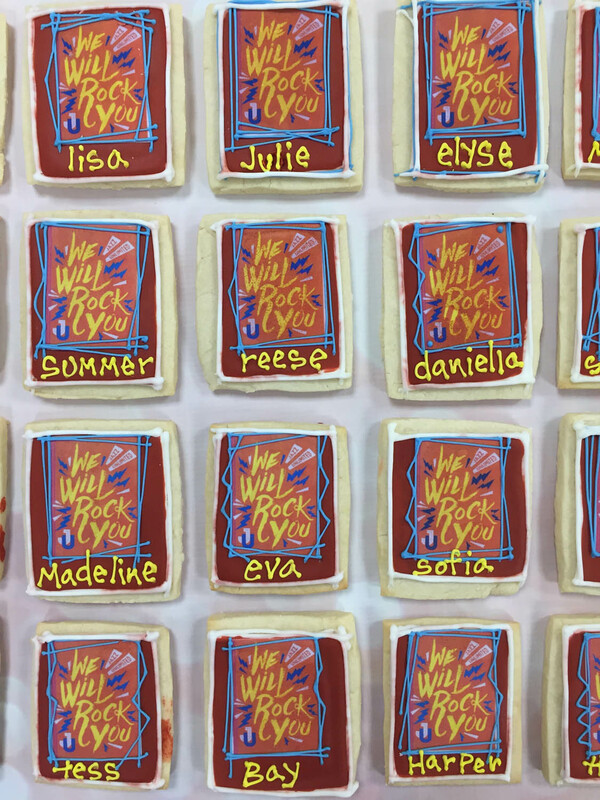 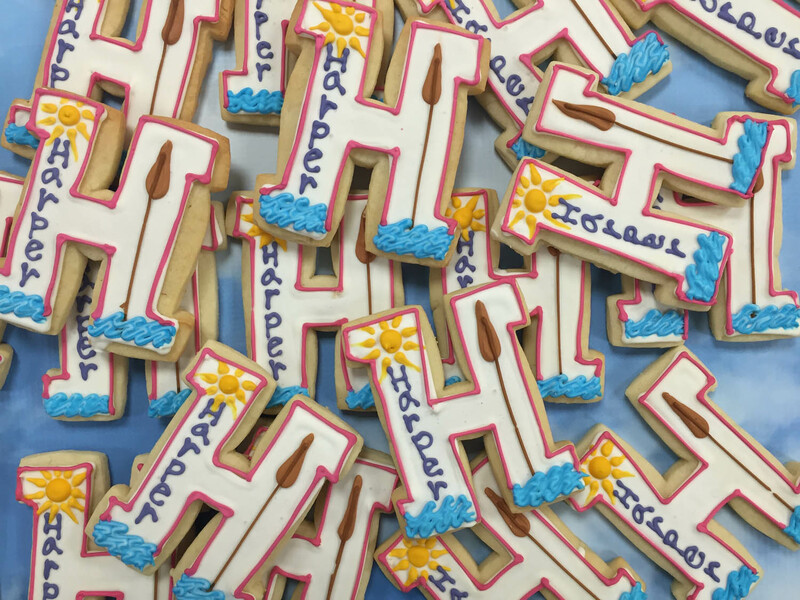 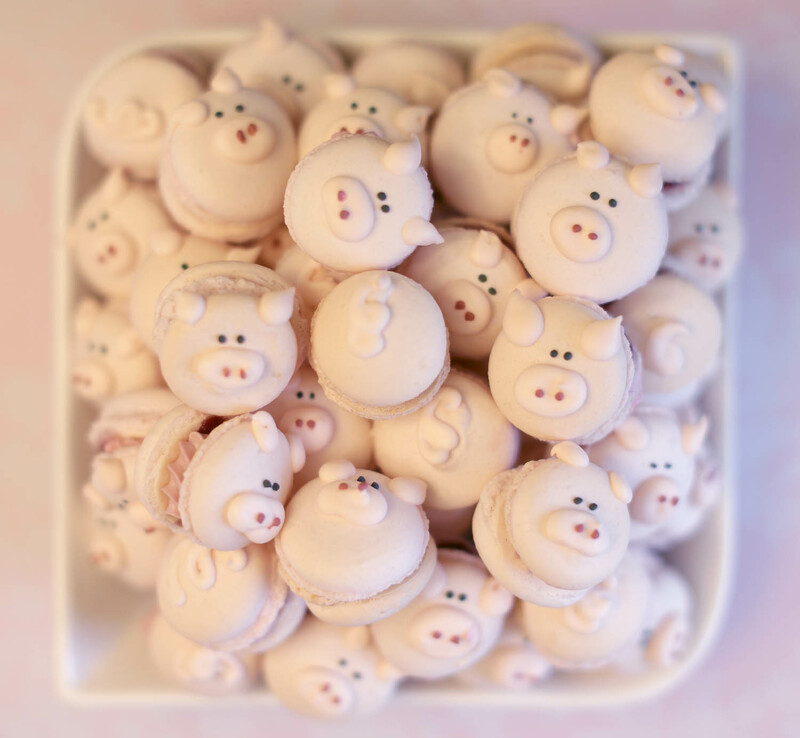 The sky is the limit: We can personalize each cookie and write each guests name on your design. 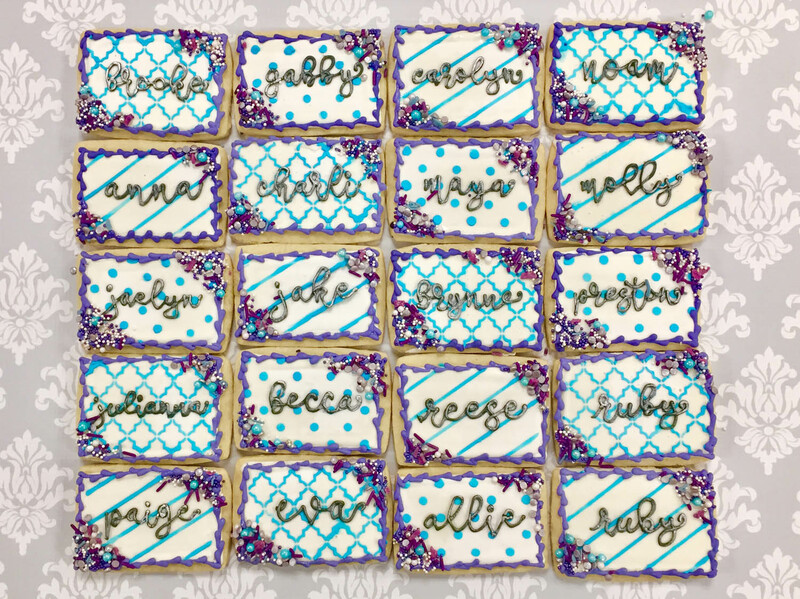 Also, cookies are great unique options to serve as place cards for Mitzvahs, showers, or weddings. 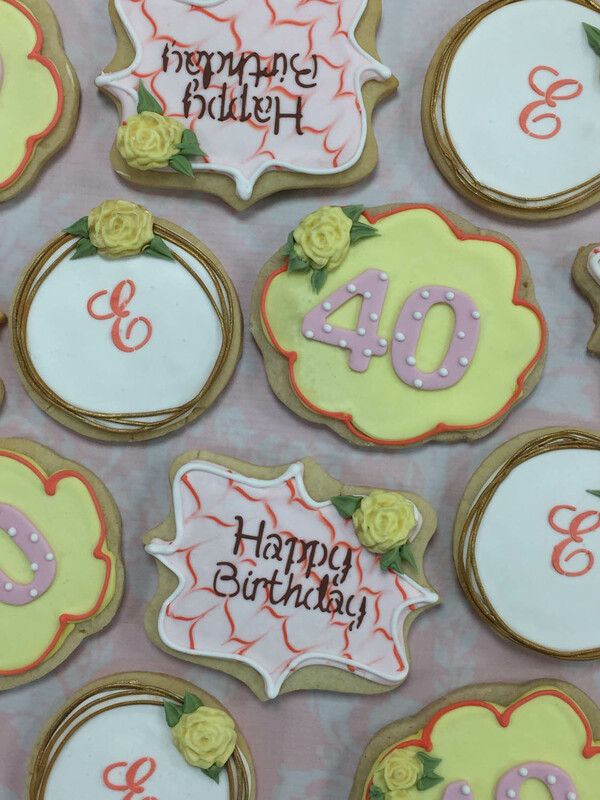 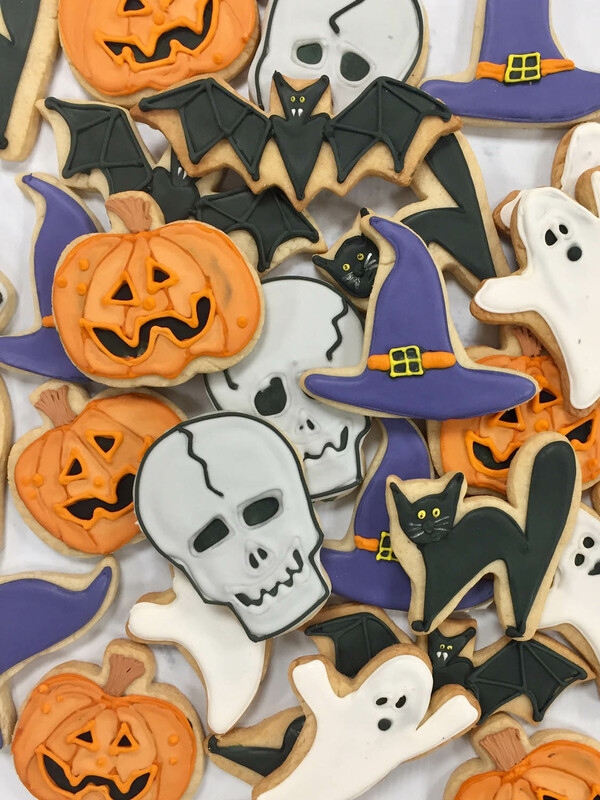 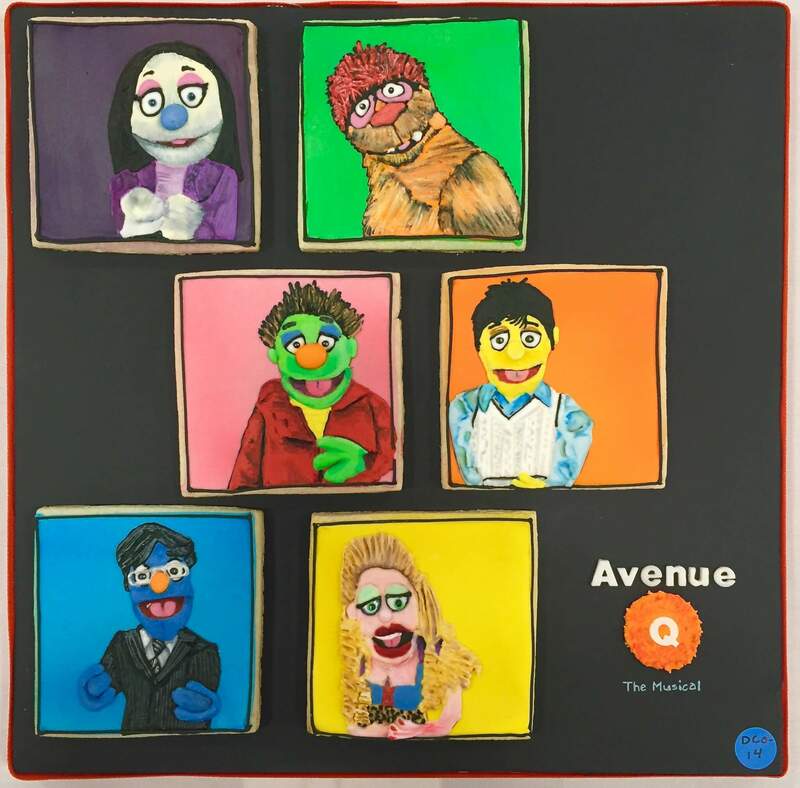 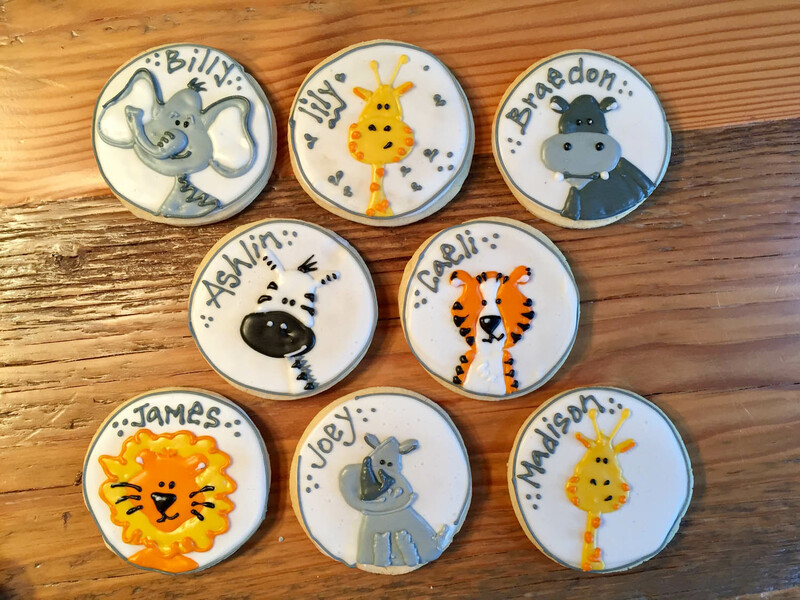 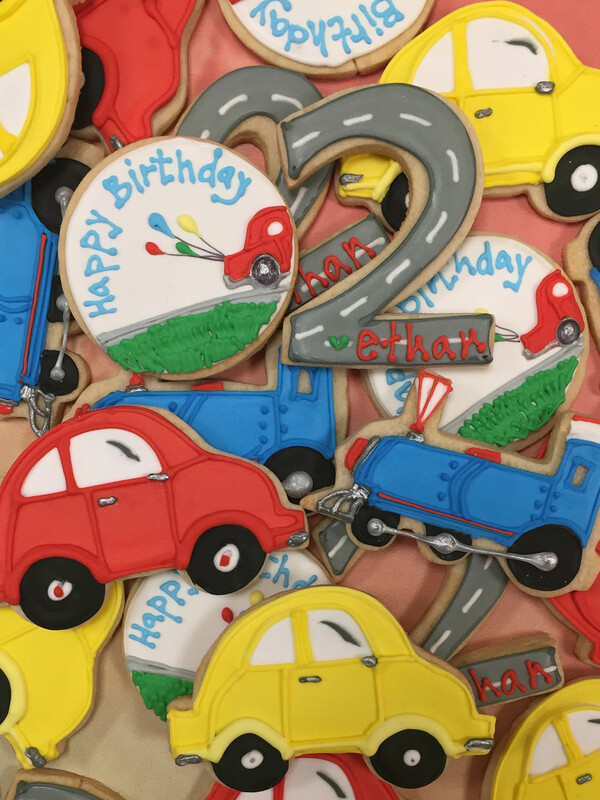 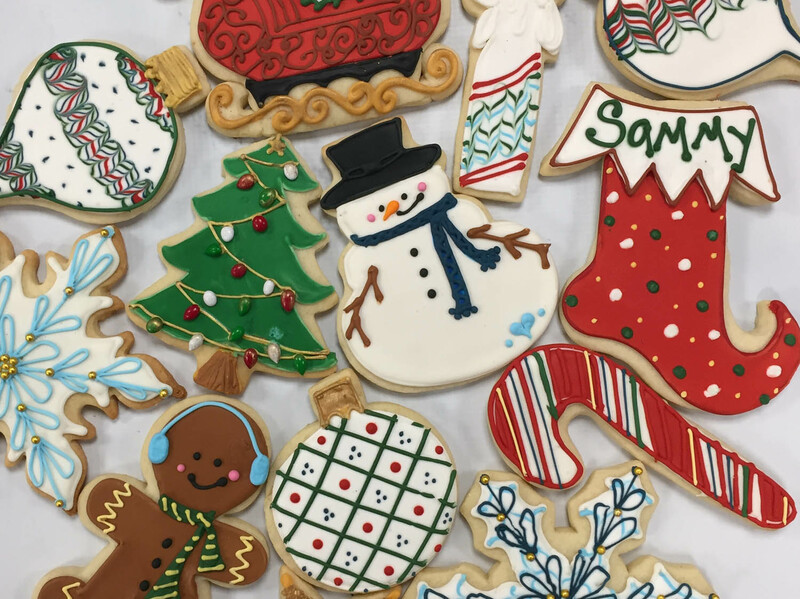 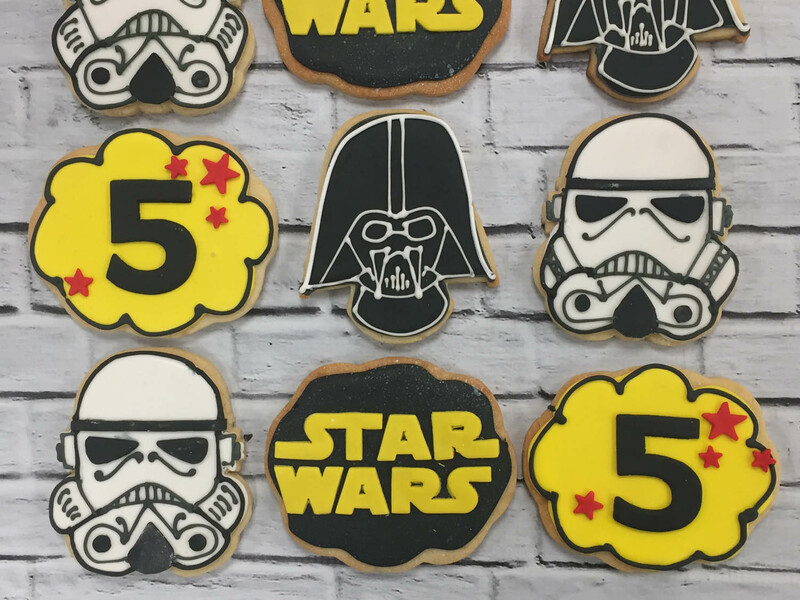 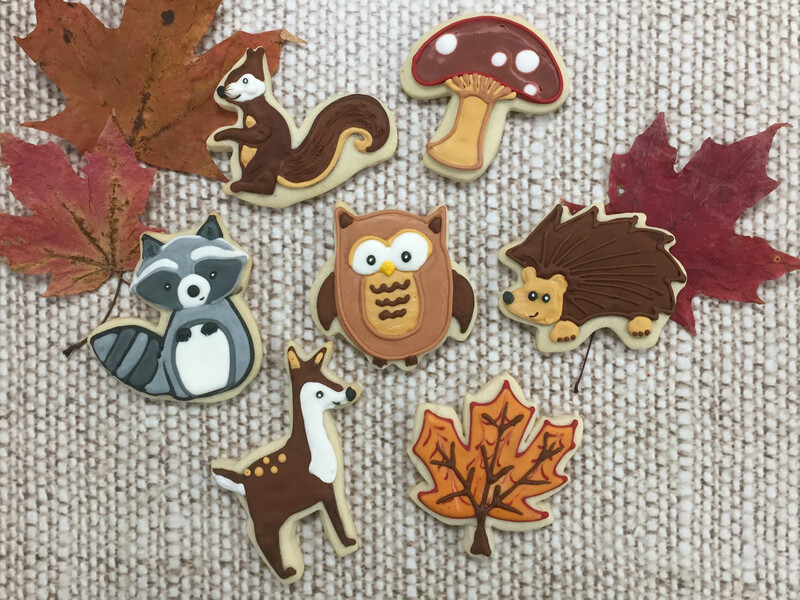 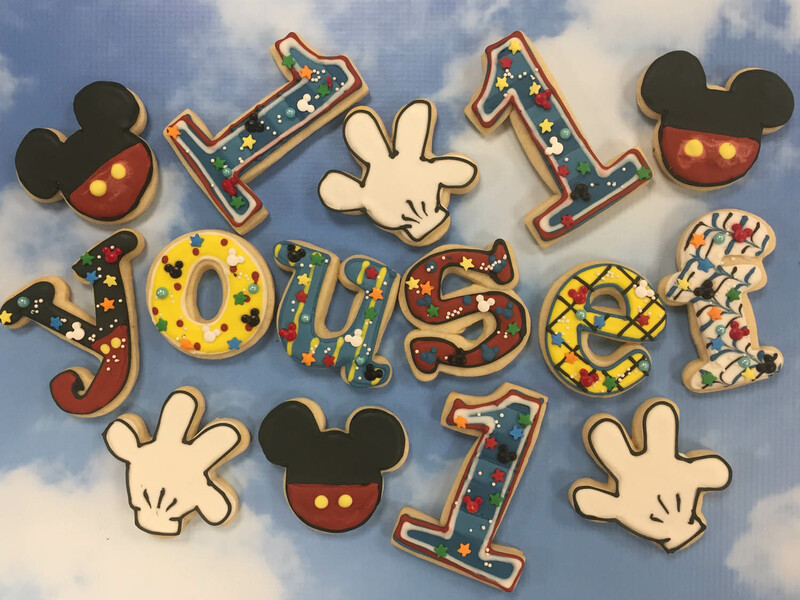 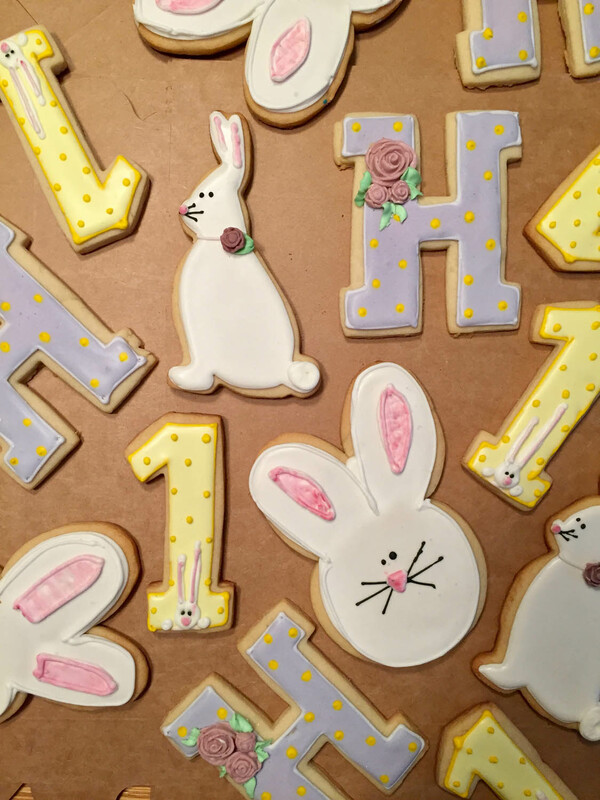 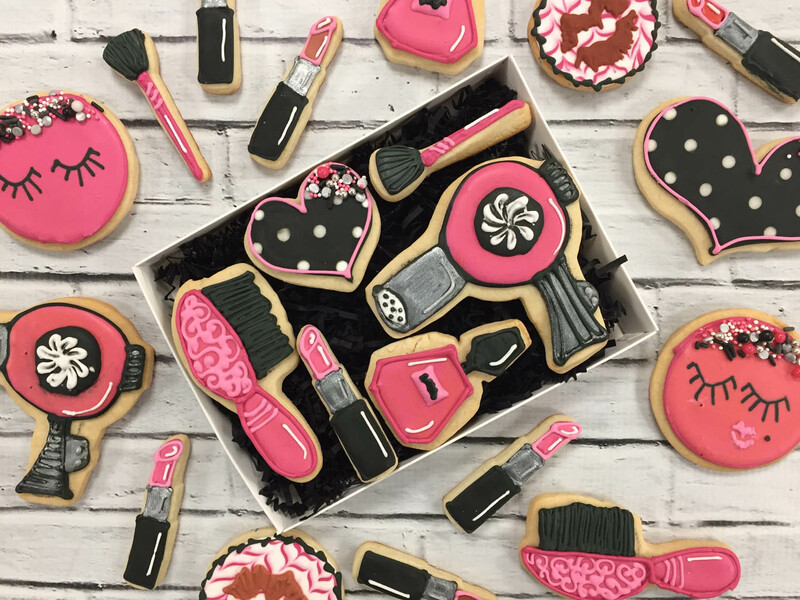 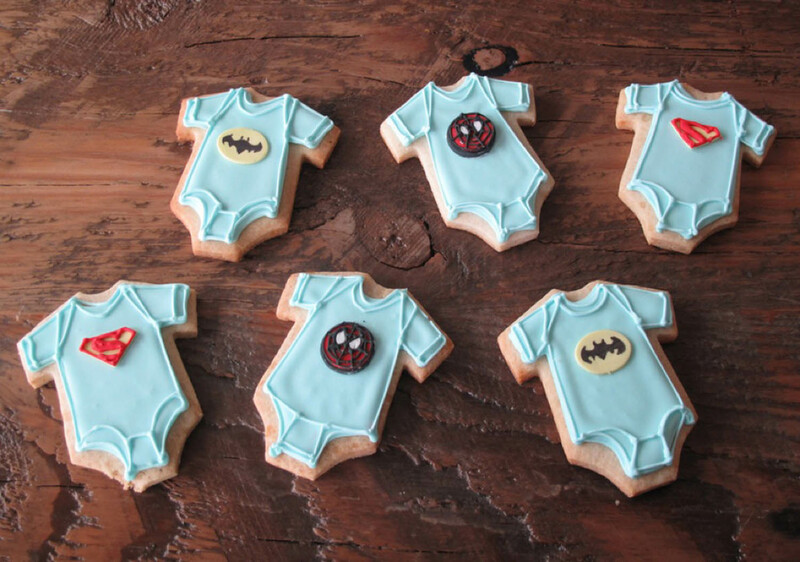 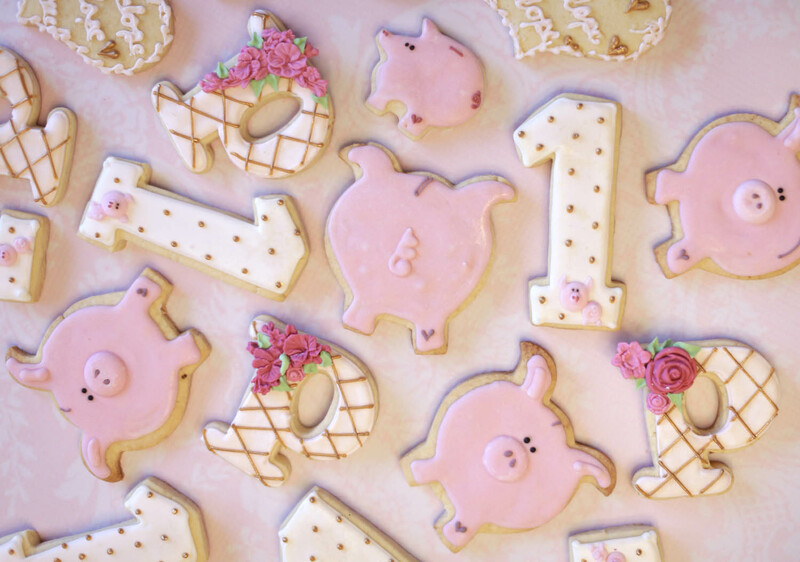 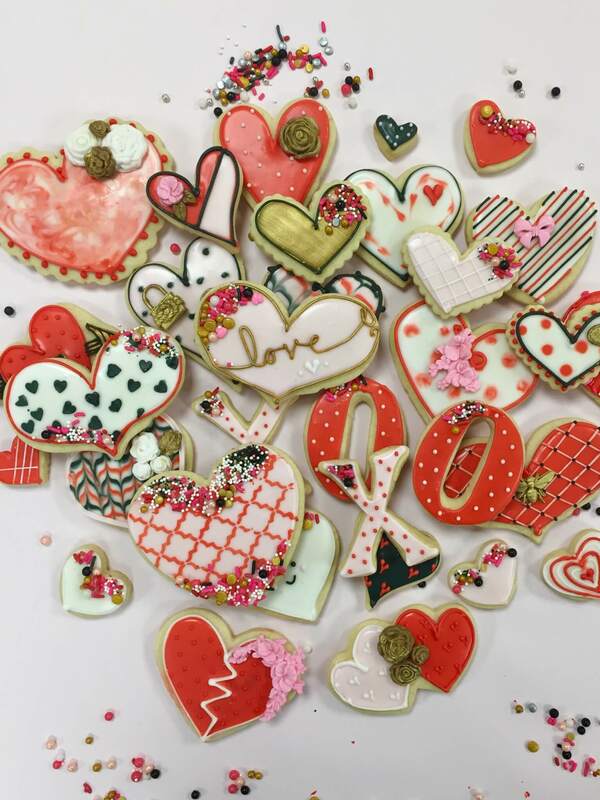 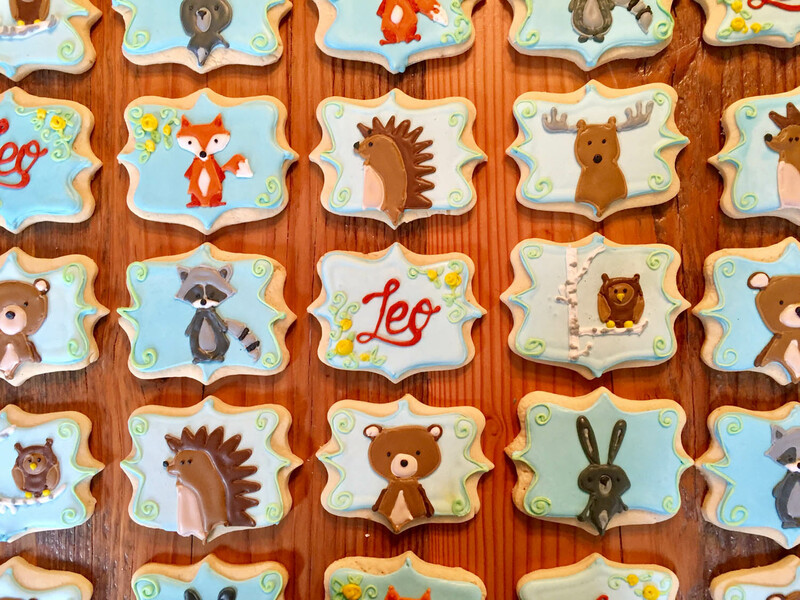 Prices range from $3.50- $8 per cookie based on size and design complexity. 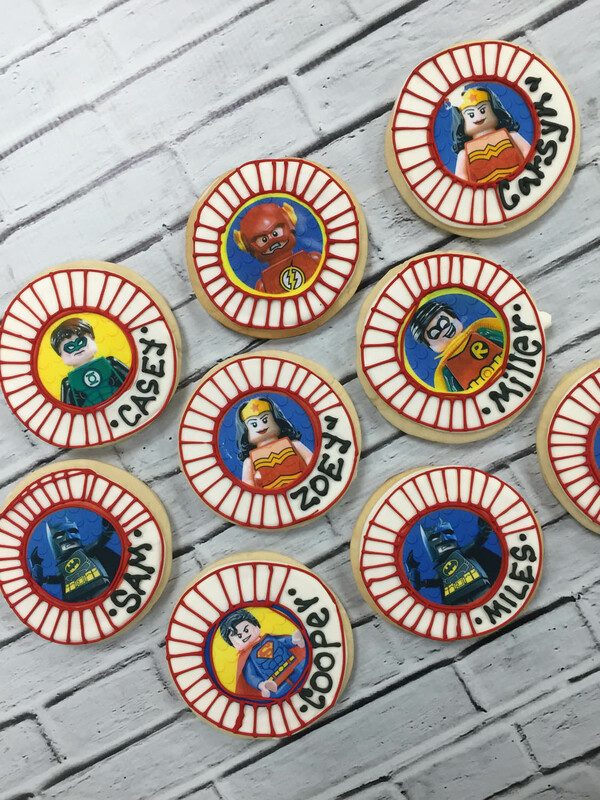 Individual cookies must be ordered per dozen. 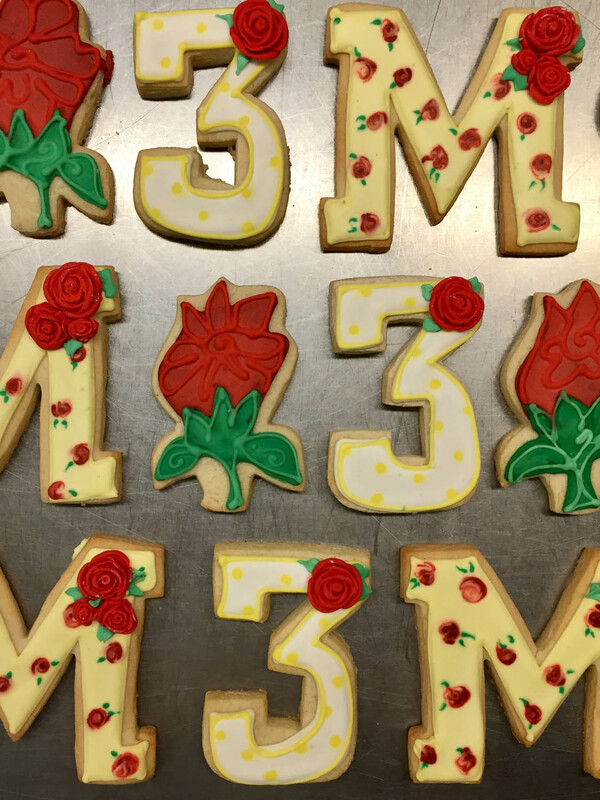 Different designs must be order per dozen. 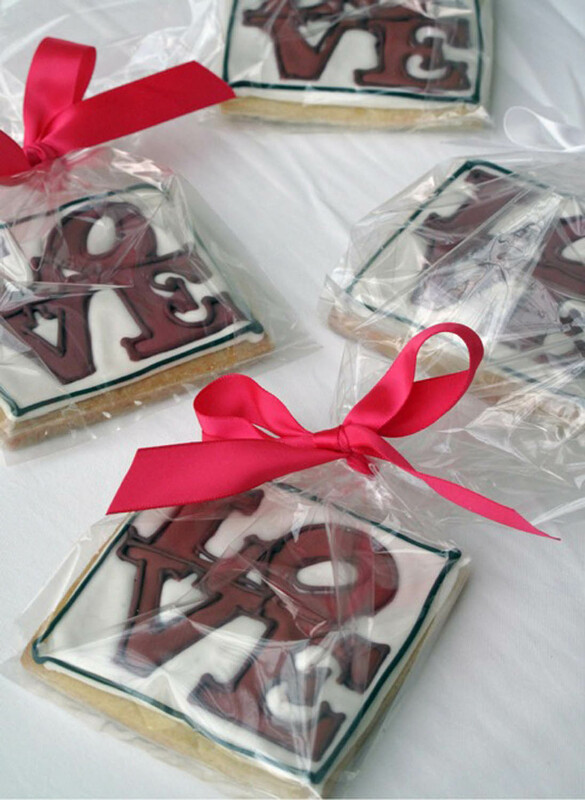 Cookies are provided to you in a white pastry box. 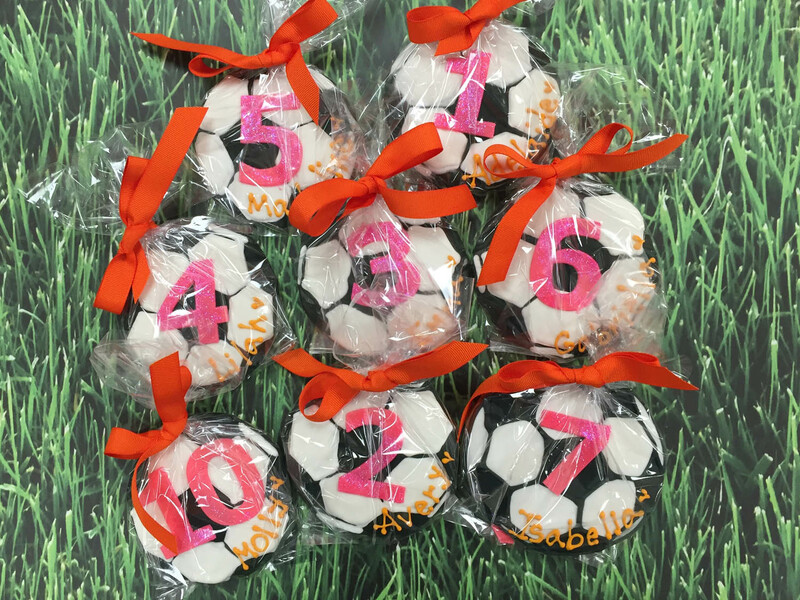 Custom packaging options are available such as bags and bows, clear boxes, etc. 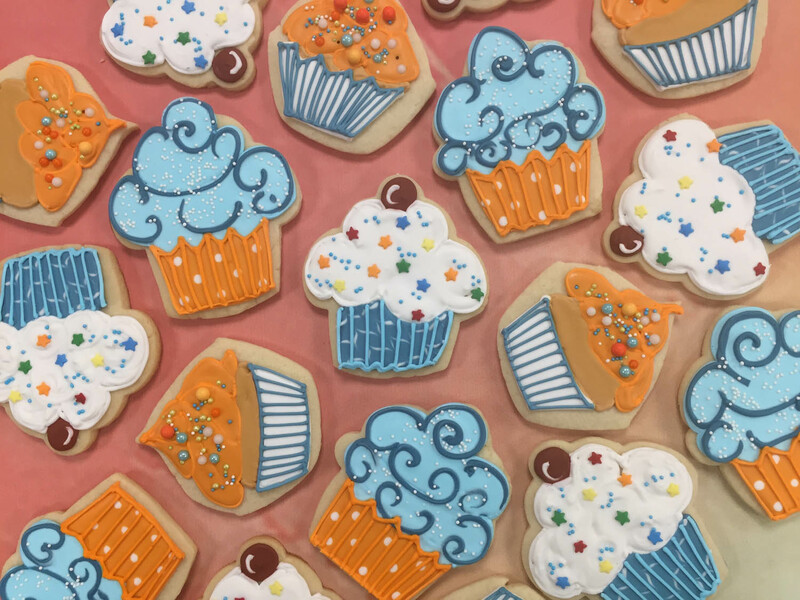 Cookies bagged and bowed (color of your choice) are $.50 additional.